When we are in a creative mood… we run with it! Right now everything we want involves those buttery warm combinations of neutral over neutral. Taking sharp notes of deep, almost black, browns and layering them with softer lighter creams. The “be right back”post-it hung on the door, as we skipped off to Kudu Coffee to purchase our favorite caffeine jolt of inspiration. 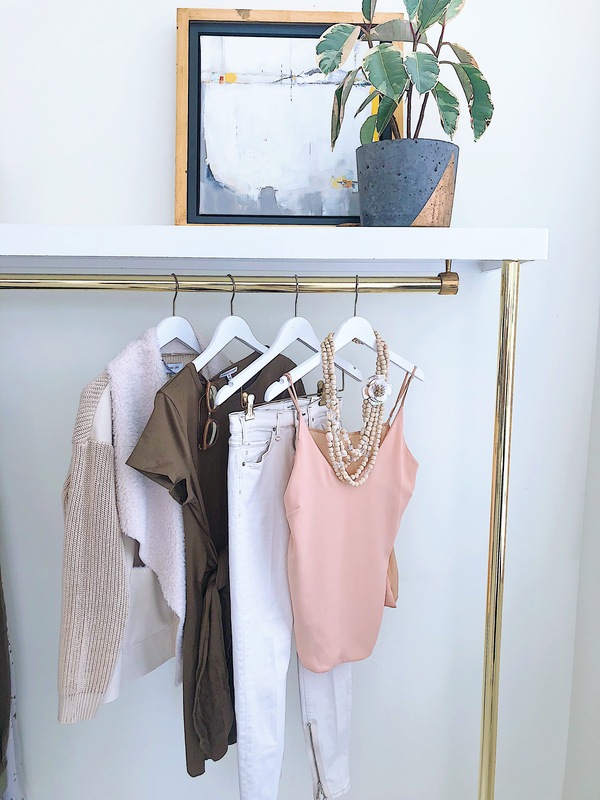 With coffee bean perfume wafting through the store, we styled 5 outfit inspos incorporating all neutral color combos we can’t enough of! We hope it gives you inspiration for planning your own delicious ensembles in the morning…..after coffee of course! 1) Keep it light and soft with one pop of black to ground it and layering to add interest. There is something very Neapolitan Ice Cream about this look, and who doesn’t dig an ice cream that has three flavors in one scoop! 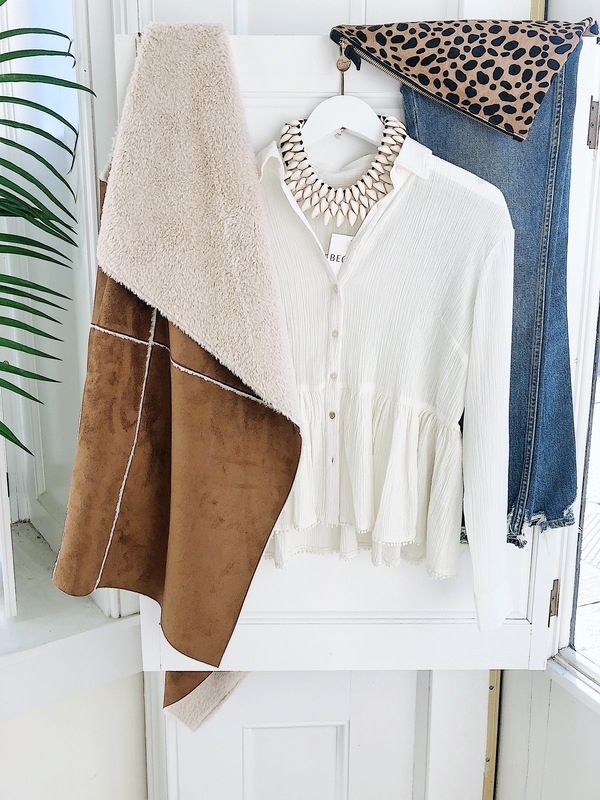 2) When layering neutrals the key is to incorporate texture and pattern! 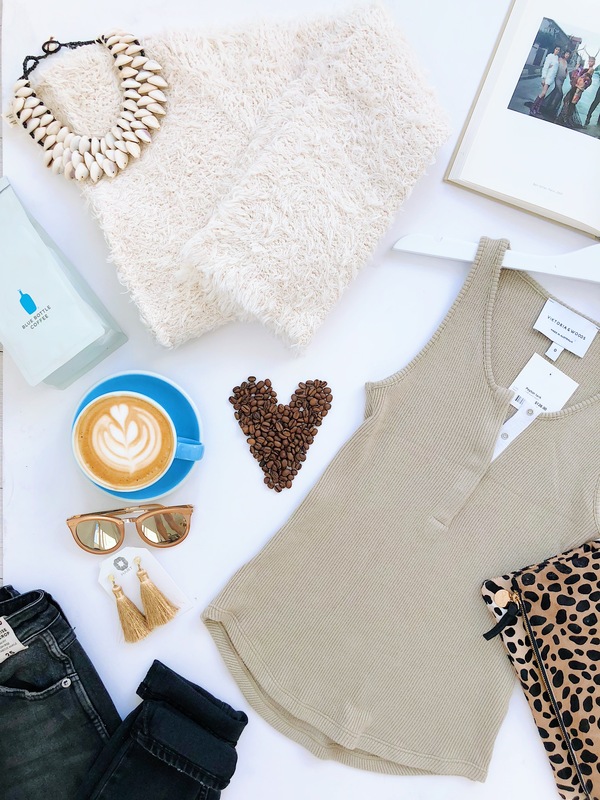 Picture yourself wrapped in this cuddly cardie sipping the delicious latte made just for this photo by our friends next door at Kudu Coffee. If only our latte art ever looked that amazing. If only we knew how to make latte art, haha. 3) Outerwear is a great and easy way to add a deeper neutral layer, so opt for caramel colored layers of warmth this season rather than your go-to michelean man puffer. Think Cameron Diaz in The Holiday with her layer upon layer of luscious cashmere and shearling. 4) It is super helpful to organize and plan your color spectrum in your closet. This visual helps you see your combo options and makes styling all these neutrals easy. Plus, the yummy color story happening in on organized closet will help you see what items you really need to buy to fill in the gaps. Bye Bye blouse you never should have bought even though you swore it looked just like Serena Van Der Woodsen. 5)We like to call this look the Caramel Macchiato. Light neutrals are coated in warm tones for an inviting ensemble that is both interesting and simple. The mini tote in cognac is the just the right buttery shade of tan and the pops of blush are the cherries on top of this sweet style. Until the mood strikes us again.